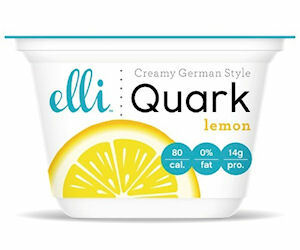 Order a coupon good for a free cup of Elli Quark yogurt! Valid while supplies lasts. The TurboTax You Party is an easy way to help your friends and family save money by empowering them with the skills, support and software to take control of their taxes and finances while celebrating everything that has happened in their lives over the past year. This event is only open to residents of the US. If you aren’t selected as one of the first 3,000 hosts, you’ll still get a 50% off TurboTax ONLINE software offer to share with your friends and family so you can host your own party. Instead of a Party Pack, you’ll have access to great downloadable party favors to use at your party to make sure everybody has a great time! Sign up for P&G Everyday newsletter and receive exclusive coupons, useful tips & ideas and learn about free samples, new products and exciting promotions. Sign up for the P&G everyday e-Newsletter today to get helpful coupons for your favorite brands and inspiring articles sent to your inbox every month. It’s free to join and you can unsubscribe at anytime. Save money with exclusive coupons. Get inspired with useful tips & ideas. Learn about free samples, new products and exciting promotions from P&G and carefully selected retail partners. 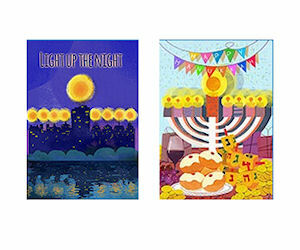 Send free personalized Hanukkah Greeting Cards! Click the ‘Create My Free Card’ button at the bottom of the page and then follow the prompts to select and send your free card. Know someone who snores? Got nasal congestion? Try Breathe Right strips, they work! How to get it: Click on this link and fill out a short form. You will receive your free sample in the mail in 1-2 weeks. If you’ve received this free sample in the past, you may need to try clicking the link in a different browser to get it again. Try Zing™ Zero Calorie Stevia Sweetener for FREE. Join the Naty Ambassador Program and refer 3 friends to receive free sample bag of Naty Eco Diapers. Being an ambassador also allows you to trial new Naty products for free! Click the button that says ‘Become a Naty Ambassador Here‘. Then fill in the sign up form and refer your 3 friends to score your free diapers. The 1st 1,000 to sign up on Facebook each day at 1pm EST will get a free O-Cedar Scrunge Scrubber Sponge! The giveaway will run everyday through December 1st. Watch the video to get a free sample of Dry Spray Antiperspirant! After watching the video click the ‘Request Sample’ button and complete the form.